Get out under the stars in luxury. 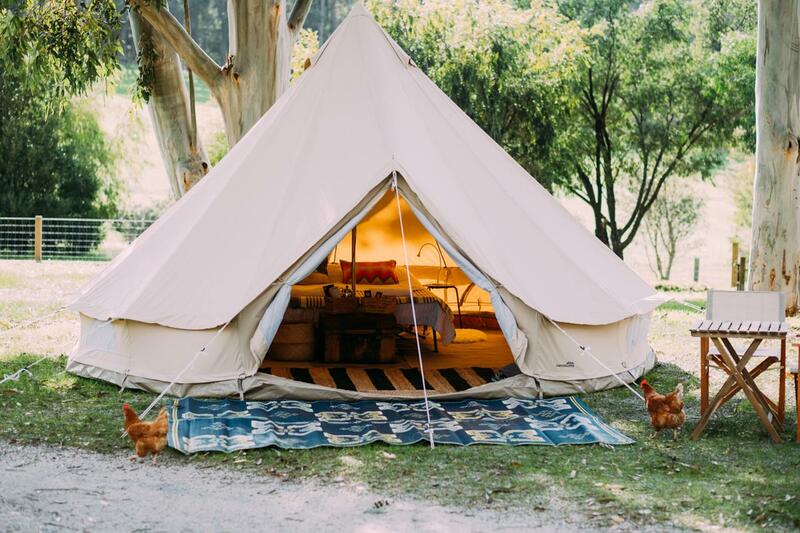 Our 4-meter Canvas Bell Tents are furnished for comfort. 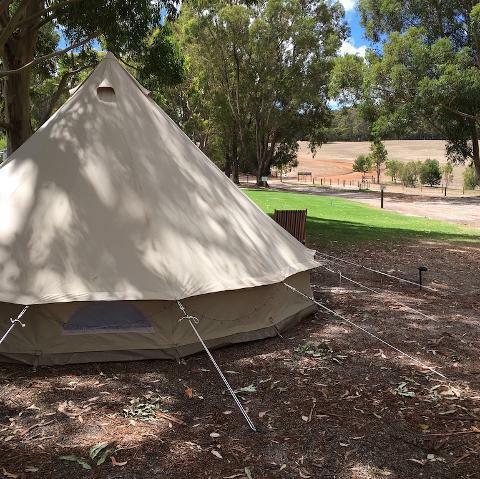 Go glamping and experience being in the true nature of the Margaret River region. 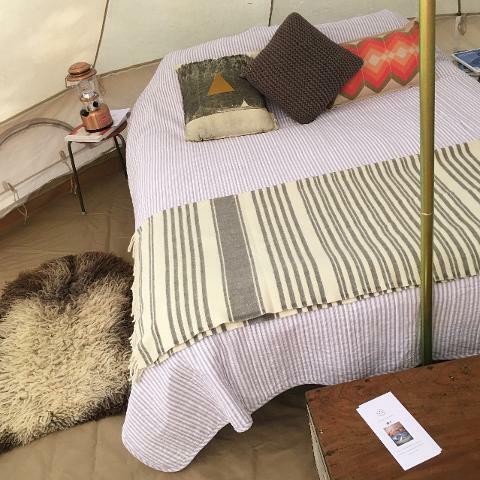 Our tents are carefully furnished with rugs, stretcher beds and mattresses, bed linen, towels, scatter cushions and blankets. We provide lighting and bedside tables too. Sit outside comfortably using our outdoor furniture, relaxing under the trees enjoying breakfast or a glass of wine. We are happy to help with selection and booking of a local campsite. Please note we set up at campsites from Yallingup to Margaret River. We are happy to travel further afield for a small travel fee. Booking more than one tent for friends? See below and click tents required.